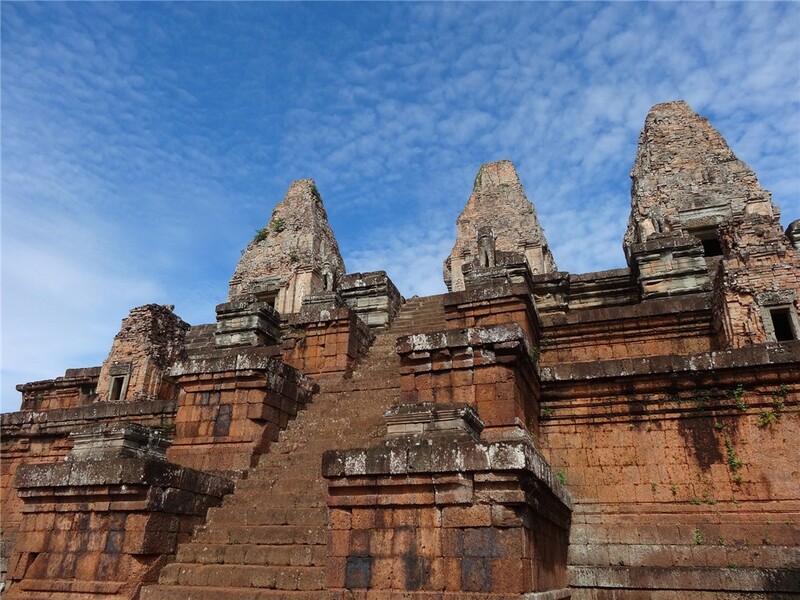 Siem Reap remains one of the most famous tourist destinations due to its closeness to Angkor Wat. The renowned global Angkor Archaeological Park is located in the city of Siem Reap. The city can be accessed by air or by land, and the city also features an extensive collection of Khmer culture facets. You can enjoy your stay in Siem Reap at any time of the year but make studying this guide in preparation for your journey to the city will help you decide the best time for your visit. Since the weather of Cambodia is tropical throughout the year, expect the climate to be warm throughout the year. The only thing that differentiates all the seasons is the amount of rainfall. According to the thumb rule, the driest period in Siem Reap is between November to March although bright blues skies are experienced on a daily basis between December and January with regular occurrence of very little or no rain. This has been the main reason why the residents of northern hemisphere prefer to migrate to a more conducive environment to escape the gloomy winter to enjoy extended Yuletide and New Year vacation. Since the city is situated slightly north of the equator, this implies that December and January being the official winter remains the coldest months of the year. These two months brings so much relief to everyone; both inhabitants and tourists alike. The temperature during those nights is around 200C. On several occasion, the heat doesn't exceed 30-degree mark during the daytime. With all these characteristics, December and January remain the best time for outdoor activities like temples' visitations, cycle rides, and walking tours because the heat is still bearable especially in the longer part of each day. Although some people may not agree with these assertions, I would rather watch the sunrise clearly in the sky over Angkor than experiencing a cloudy sky. 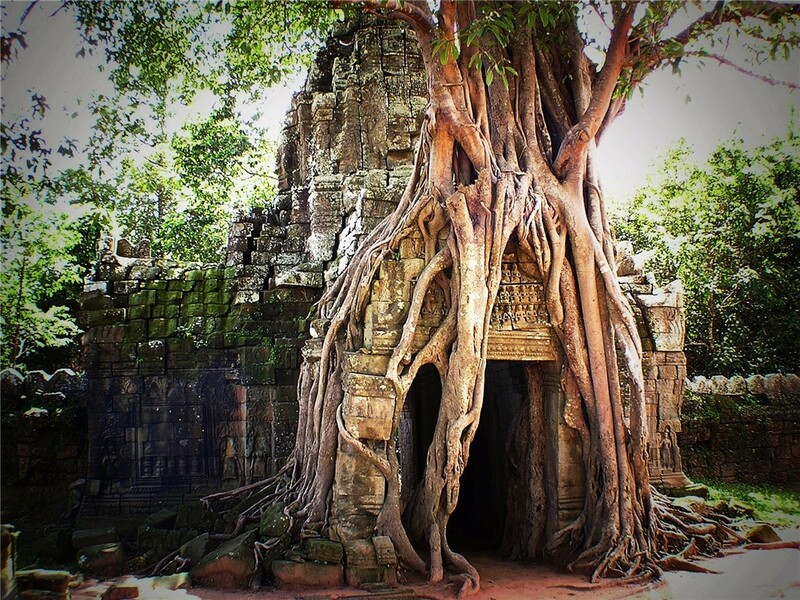 Want to visit Siem Reap, Cambodia in the best season? Come to inquiry our travel consultant! 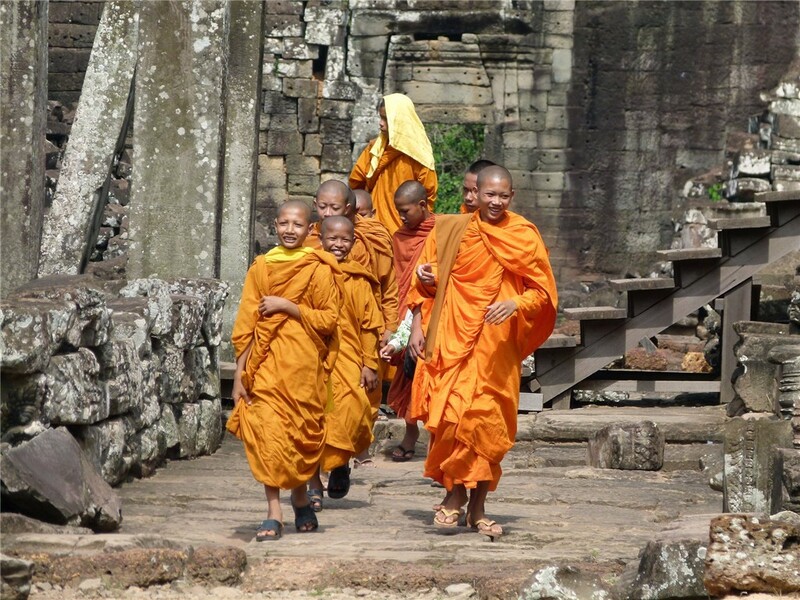 See more Cambodia tours and your private tour consultant will arrange for you! Any time! Any requirements! Just like other parts of Cambodia, Siem Reap is not different! The weather is always hot and humid throughout the year with the two main types of seasons differentiated by the amount of rainfall. Below are what to expect regarding weather throughout the year. From November to April: little rain and more comfortable temperatures characterize the dry season. Between December and February, the cooler temperatures make visitation to the city famous during those periods. In April/May, the temperatures at this time can be uncomfortably hot, as high as 38°C (100°F) or higher. May to October I regarded as the monsoon season of the year, characterized by afternoon showers. June happens to come with high intensity of heavy rainfall although with lower temperatures. March and September provide the best sunrise photo opportunities for all visitors. The dry season in Cambodia is between November and April, and because of its location in the northern part of the country, Siem Reap tends to be less cold with an average temperature of comfortably around 25°C (77°F) from December to February and less rainfall recorded during in December/January. This period is also regarded as the city's most active time of the year. Hotel reservations during this period are always on the high side, especially during the Christmas/New Year vacations. All thanks to it being the preferred holiday destinations for the Christmas/New Year and March to April inclusive! But if you don't fancy heat, consider planning your visit between April to May when the temperature will be around 35°C (95°F). Siem Reap's Monsoon Season doesn't signify unstoppable rainfall as the case may be in another part of Southeast Asia. The type of rain that brings relief from the high humidity and intense heat tends to fall in the afternoon with the addition of heavier downfalls overnight. Aside from this, there's plenty of sunshine the rest of the time even when there are heavy showers from June upwards. And all that rain makes the vegetation lush, and the flowers bloom. As the name implies, visiting during the rainy season is not a bad idea in as much you don't care about the heat. Overall, this is the best time to attend to enjoy a more quiet experience. For photography lovers, this is the most fantastic moment for taking your pictures as the Angkor temples are fantastic and radiant, suitable for taking selfies! Despite being a raining season, the low season should not put- off the majority of people. Heavy rainfall can characterize the period, but it is highly unusual for the rain to last more than one hour or thereby so. Sometimes, there is massive tropical afternoon storm and occasional rainfall into the evening or throughout the night. This is also the season that paddy field is filled with rice and the floating villages full of water, and all is green! 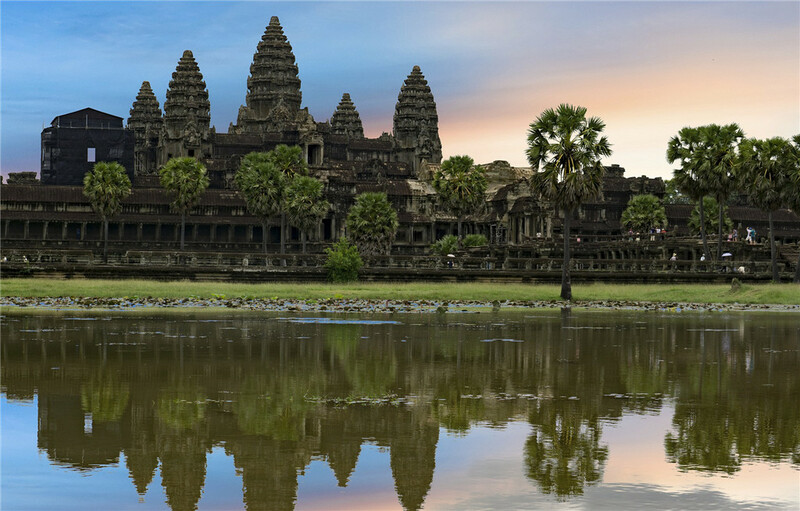 The season is the most pleasant time of year to visit Angkor Wat. However, it's also called the hottest of all the seasons with very high levels of humidity. This condition- hotness day and night, makes it can make temple explorations very exhausting particularly in the afternoons. It's. Visit Siem Reap, Enjoy your Holidays! Seasonal traditions such as Khmer New Year and the Water Festival will give you a unique experience during your stay. You can experience a traditional Khmer new year party or watch a boat race during the water festival. Chinese New Year is also another favourite time to visit Siem Reap. Many Cambodians with Chinese ancestors will celebrate, and many Chinese people will visit the town. You also want to consider the busy times of year during various holiday periods. During the holiday seasons, it can be hectic in town, but you can get to experience a Cambodian party! International holidays such as Christmas and New Year are also widely celebrated. Other favourite western holidays include Halloween with lots of themed parties and fancy dress happening around the town!